OH, a Broken arm WITH grief — why didn’t you say? At the conclusion of my clinical internship (which was the last component of my Heilkunst studies before graduating), my clinical partners and I were treating a case which I’ll always clearly remember in terms of the lessons that I learned from it. One month of this treatment, in particular, stands out in my memory. It was the point on the patient’s time line where we were treating her for the time she had broken her arm. When we questioned her further about the broken arm, she revealed that there was another element to the story of her broken arm — it had occurred within another context, which was that she had just received news of the passing of her Uncle just before she slipped on the stairs outside the door of the house and broke her arm. Ah ha! This headache is one of the typical physical symptoms we will see in a patient when they are going through a state of grief, whether related to a current event, or a past event on their time line. We immediately treated her with this grief remedy, to complete the whole event of the broken arm, before we knew we could logically move on to the next event to treat on her time line. 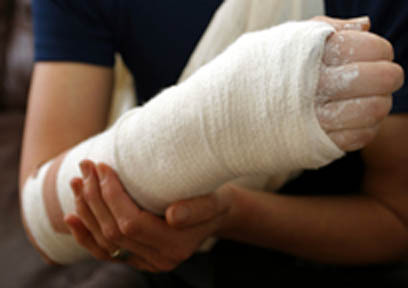 Normally, we would have treated the broken arm with the grief remedies at the same time, in a compound event like this. To be very thorough in case-taking, and not to make assumptions. The patient isn’t always sure about what to include on their time line, and needs to be guided and prompted to complete all the information. The patient’s life force will always tell you exactly what it needs, whether it is a conscious knowledge in the patient’s mind, or not. Without following it, the treatment will progress blindly, and often ineffectively. In other words, the time line is a great map of the territory, but the living, breathing movement of the life force is the necessary guide to navigate through it. « Is “Female Sexual Dysfunction” really a disease?